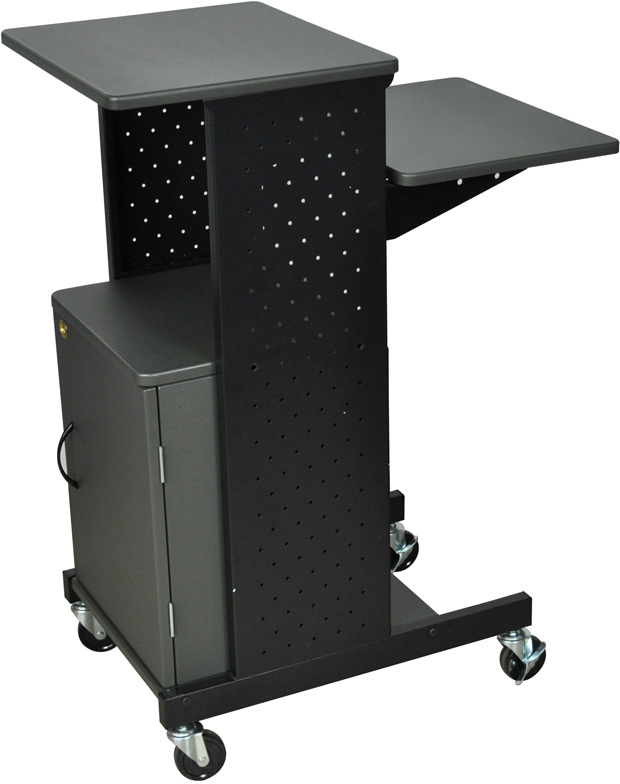 The Luxor 40" Mobile Presentation Station combines simple design, solid construction and multiple surfaces to deliver a cost-effective solution for office and classroom presentation needs. 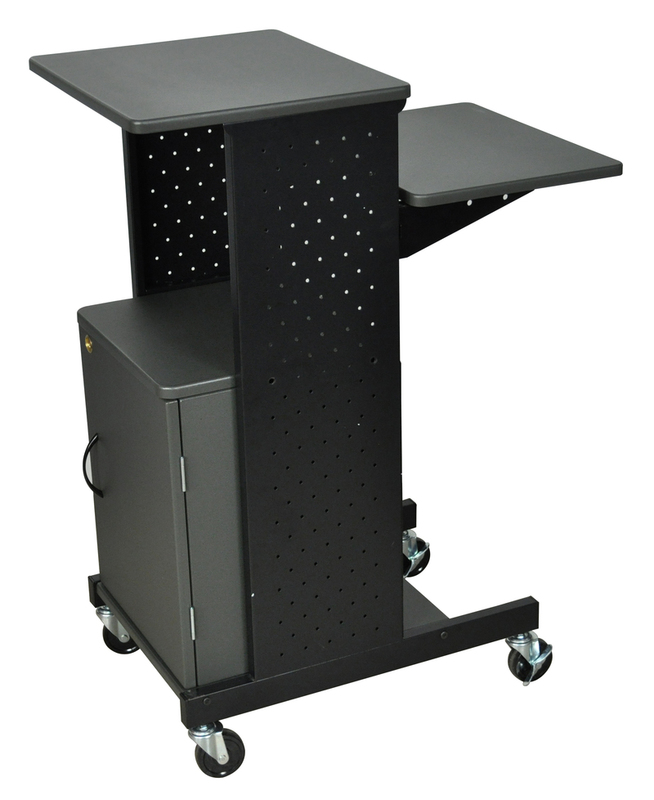 There's a locking storage cabinet with ventilation and ample shelf space above it to accommodate equipment. 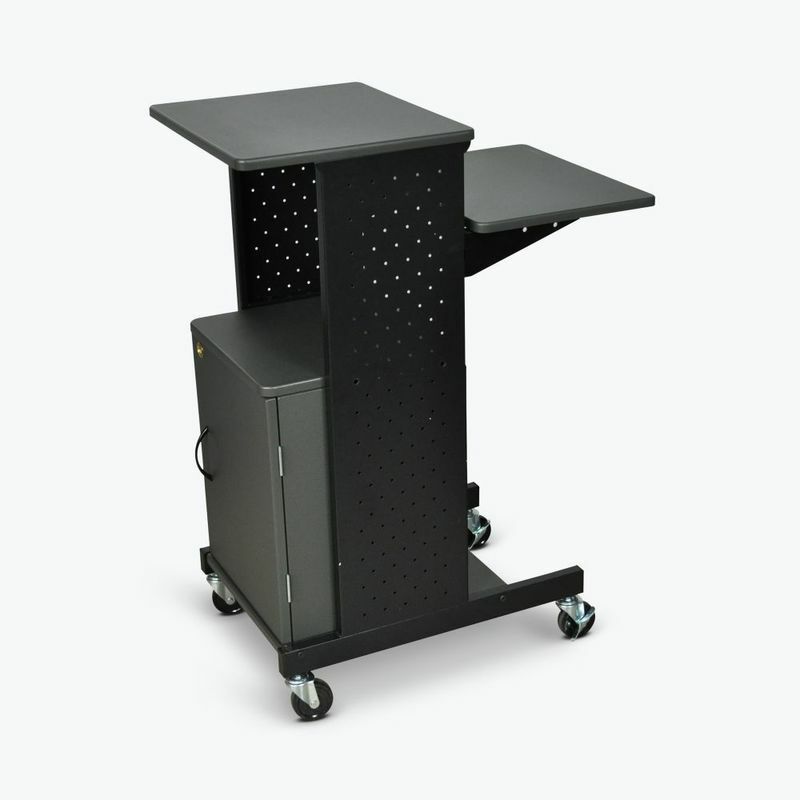 A height-adjustable second shelf serves as a keyboard tray whether you're sitting or standing. When it’s time to store or use the cart elsewhere, four rolling casters with two locking brakes make maneuvering quick and easy. Clearance between middle and top shelf: 13.25"
41" x 37" x 4"